If Los Americanos is the new kid on the block (in Tribeca), a little further uptown (actually in the East Village) is Mayahuel, an intimate old favorite among South of the Border-inspired destinations where the spirited Eryn Reece tends bar. 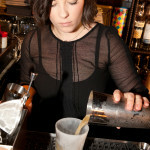 Her Tequila favorite is the Frexican – a drink she calls a new spin on the Mr. 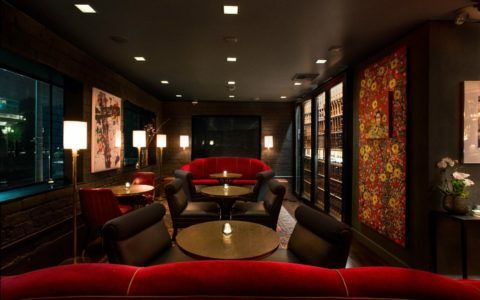 Potato Head concept – it’s a Latin play on a Mint Julep. 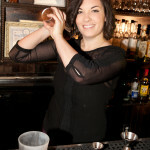 Eryn prefers Calle 23 Tequila (the brainchild of Sophie Decobecq, a French-born biochemist — hence the name “Frexican”) mixed with Penny Royal – an herb from the mint family infused in a different way than the expected muddled mint – and to complete the reinvention, generous shots of Hine Cognac, Rittenhouse Rye, Benedictine plus a teaspoon of Cane Syrup. Softened with crushed ice this global take on an American classic pays homage to Mexican tradition delightfully inspiring a toast to the Agave Goddess herself for she is Mayahuel.